Most of us spend at least a third of our adult lives in a working environment interacting with colleagues. Many times, close-knit friendships develop over the years. You move from the professional to the personal world. You ask about kids' soccer games and vent about personal struggles. It's as natural as breathing. Being part of a team just brings people together as they fight through work obstacles and overcome challenges together. And this works—as long as your career paths don’t drastically change responsibilities and roles. Many of my best friends I continue to keep in touch with originally started out as colleagues. However, if you suddenly find yourself in a position of authority over your friends, how do you handle this? After all, the person you goofed around with last week who knows all your deepest secrets and has seen you in embarrassing situations now suddenly reports to you. If you lead a team, you have to be conscious of how you conduct yourself with your employees. No matter how hard you try, the rules of friendship don’t always apply when it comes to managing people. There's a balance. Many newly minted leaders who find themselves in this awkward position go to two opposite extremes. They either try to completely alienate themselves from their friends and avoid all personal connection, or they continue the friendship as if nothing happened. Neither approach is correct. Those who let the power go to their heads and act superior to the people who were once on their same level will lose the respect and love of their teammates. After all, you can't just stop being friends with those closest to you because you had a successful career move. On the flip side, those who don’t develop some managerial distance will be faced with a team that doesn’t respect them. After all, why should you hold them accountable when you were just over at their house last week to watch the big game? They could get away with almost anything, and you would never fire them. Because, really, friends don't fire each other. Can you see how this type of thinking would compromise your authority? So how can you maintain your friendships while also being the driving force to improve your team and productivity? You have to find the sweet spot between the two extremes, and this comes with honesty, consistent evaluation, and openness. Here’s why you can’t just continue being friends without acknowledging the fact that being promoted to management changes your relationship. If you're leading a team, you'll create the perception of favoritism with your closer friends. As a manager, you can't let people think you're just helping out a buddy and that they have no chance at growth or advancement. You should not have to be part of a “club” to grow in your career. Make sure your entire team knows you'll award career benefits to the most deserving employee—not the person who shares your history. If you have an emotional connection to an employee, you'll have a hard time setting those feelings aside when necessary. Your friendship shouldn’t influence your decisions about raises, layoffs, and assignments. If they do, be prepared for possible lawsuits or employee turnover in your future when those who aren’t in the friendship circle get tired of being overlooked. If you're good friends with someone you manage, you may let them get away with more and go easier on them than the rest of your team. Your other employees will notice this, and resentment could build up quickly. You may both have unrealistic expectations of what should be done out of friendship that's inappropriate for the working relationship. As a manager, part of your job is to evaluate your employees. This isn’t always a welcome interaction among friends. For example, your friend may feel you would never discipline them professionally for their misconduct because friends just wouldn’t do that. Discrimination lawsuits do happen. If you've shown favoritism to your friends over more-deserving employees and the prosecutor can prove this, then you've opened yourself and your company up to legal troubles. What friendship qualities can you keep? Now, before we throw the baby out with the bathwater, many characteristics of friendship are also vital to a good manager/employee relationship. You want what's best for them. Most friends want success for each other. This is vital for managing your team well. You should want the best for everyone you mentor and grow in your company. You have empathy for them. If they're going through a tough time, you care, listen, are willing to help, and can give them sound advice. A promotion shouldn't make you cold and apathetic to your teammates—it should bring to light the fact that you have even more resources to help them personally if they're going through a tough time. As Uncle Ben from Spiderman says, "With great power comes great responsibility." You're honest with them. Honesty is the cornerstone of any successful friendship. Most successful business relationships are founded on this principle as well. A good friend speaks the truth, even if it isn’t popular or easy to hear, because they care more about the person’s well-being than their own comfort. Managers must communicate honestly and openly in their own interaction with their team. You trust them. Good friends trust each other. Good manager and employee relationships are built on trust as well. So, clear as mud? Honestly, the best policy is to avoid making your employees your best friends. However, if you were already close friends and your new promotion is making things awkward, here are a few steps you can take to keep your friends without sabotaging your career. If possible, try not to directly manage them. If this can't be avoided, take them to coffee and set some boundaries. Explain the potential for discrimination lawsuits and why you need to avoid the appearance of favoritism among your team. Most good friends will understand this dilemma. Reassure them that you won't penalize them for being your friend by taking away advancement opportunities to avoid appearing biased. Tell them you'll have to set their friendship aside and give the promotion or next big job to the most qualified person when making these decisions. If you have trouble keeping your emotions out of your managerial decisions, ask an unbiased party to make the final call. It's okay to admit when you're emotionally compromised. It's much better to allow someone else to make these decisions so you can be fair to your entire team. Try to keep your work interactions professional. Don’t let others see any specific familiarity they don't also enjoy. When you do things as friends outside of work, don’t discuss work. Try to keep these two things separate. Your employee friend is not the appropriate person to vent to about your company or the stress you're under from your job. Avoid crazy parties together or posting your fun friendship activities on social media where other teammates could see them. This makes you seem unprofessional, and reminds other team members that they don't enjoy the same access to you as your friend. Realize you may be deprived of some promotions if it's openly known that you're best friends with an employee. Managers have access to confidential information about business direction and personnel files. If everyone knows you grab a few beers with one of your employees after work, there may be some concern that you'll divulge confidential information to someone without the proper clearance. In today's competitive workplace, that may be it all it takes to give that next advancement to someone else. If your team does go out to celebrate, don’t be the last one to leave. You can go to show support and have fun with your coworkers. However, you shouldn’t lose all professionalism by getting too comfortable. Remember, it’s okay to have fun, but you should never forget that you set the example for your team. It's also okay to cut out early to give them time to decompress without management's eyes on them. 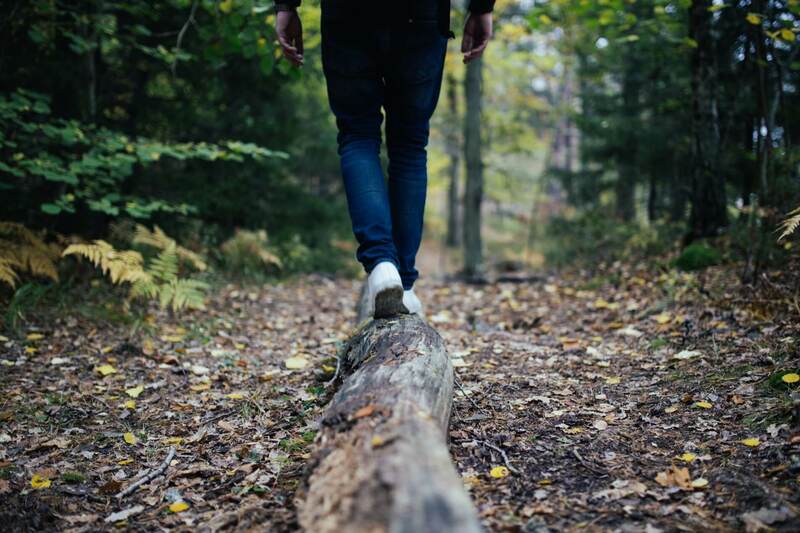 Walking the tightrope between the professional and personal is a tough balancing act. While you should always be seen as a coach, mentor, and cheerleader for your team, avoid deeper personal friendships if possible. However, don’t forget to let your employees know that, like a friend, you still want the very best for them, care about them, will be honest with them, trust them, and want to help them reach their highest potential. If that big promotion occurs and you find yourself managing your friends, take proactive steps to minimize the risk to your company and career. If you do that, you can still keep your friendships and career goals moving in the right direction. Want to be an awesome leader to everyone on your team? TeamGantt makes it easy to give your team the tools they need to succeed. Set clear project deadlines and direction, and bust through collaboration barriers once and for all.